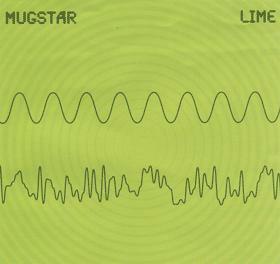 Mugstar are back with a full length. Last I heard was their split 7” for the Hawkwind tribute. This record is 4 long tracks of psychedelic groove tracks. The band takes a lot from bands like LOOP, Circle and Hawkwind. Sunburnt Impedance Machine is a long track with a very repetitive bass and guitar riff and some spaced out keyboards over the top. It gets a little monotonous after a while though but they do bring some cool elements in and you can get sucked into this track for sure. Serra has a bit slower pace but also quite repetitive groove that the band space out over the top of. This stuff sounds pretty amazing when you crank it up loud. Radar King kicks things up in intensity again with a heavy driving bass line that leads the way. After 3 minutes the track comes down and some spacey sounds filter into the track if you listen closely as the band decides where to go next. The drummer is really going for it as the rest of the band seems a little tentative and not quite ready to explode. Heavy stuff at the end but all riffs and very psyched out. Beyond the Sun closes the CD and starts slowly and there is actually a bit of singing in the distance but should have been the third track as it comes across as not that interesting as the other 3 tracks and the third track would have been a great way to end the CD and leave the listener blown away.